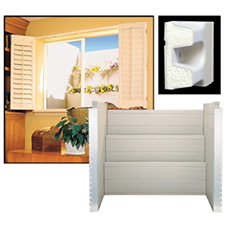 Premium Egress Step Wells are made of 100% UV treated PVC that functions across a wide range of temperatures. 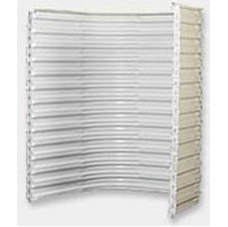 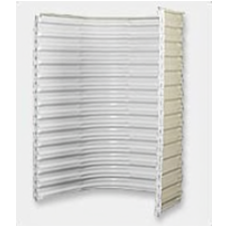 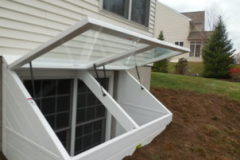 They have galvanized Steel Channels for added strength. 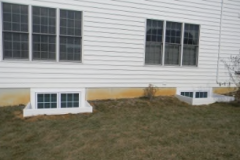 These stepped wells are available in standard White or special order Tan and Clay colors and meets the current IRC Code. 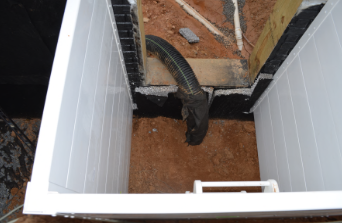 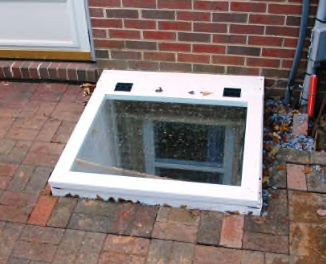 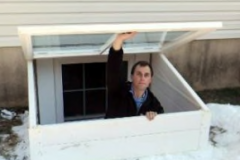 This egress well system is typically used when a standard step type well is desired or your egress window sticks above the top of your Well. 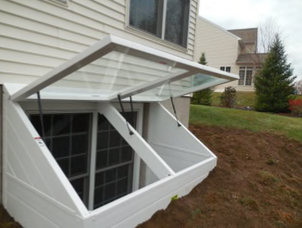 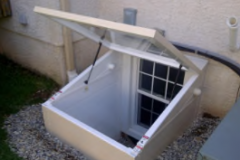 Premium Hinged Covers are available to complete your basement egress installation. 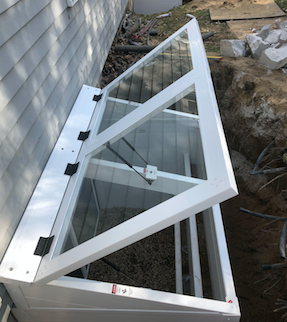 Click here for Details and Specs. Premium Egress Step Wells are available in four inside widths of 36, 42”, 54” and 66”, has either a 38” 42” 46” or 50” inside projection from the foundation wall depending on the Well height and come in seven heights; 38”, 46”, 54”, 62”, 70”, 78 and 86”. Custom sizes are also available. 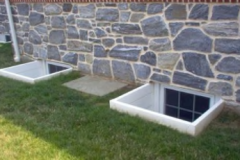 These egress wells have an outside width of 40”, 46”, 58” or 70” and an outside projection of 38”, 42”, 46’ or 50” depending on the well height. 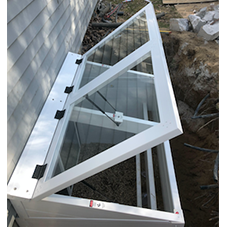 Premium Egress Step Wells have built-in steps for convenient escape, while the Premium Hinged Cover has gas lifters that minimize the effort to open and close the cover. 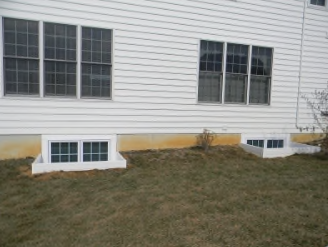 These Wells have compact u-channel mounting flanges to easily anchor and seal the well to the foundation wall without extending the wells outside width. 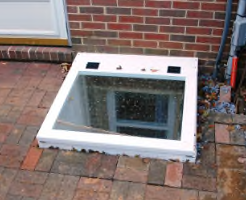 These wells are shipped in pieces that take several simple steps to assemble, making them easy to install in tight areas. 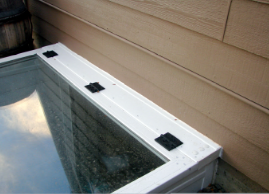 Each tongue and grooved section of the Well system is caulked with silicone sealer and screwed together with stainless steel screws. 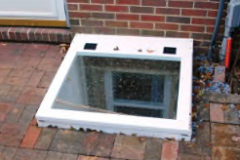 Premium Egress Step Wells are designed depending on the well width to work with all our Egress Windows. 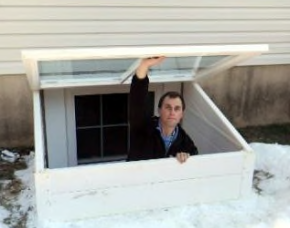 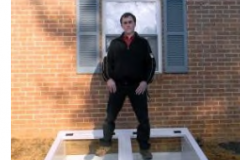 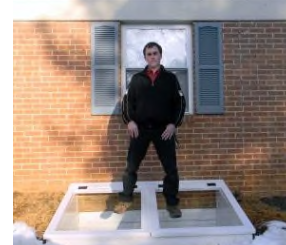 Premium Egress Step Wells and Covers come with a 15-year limited warranty.